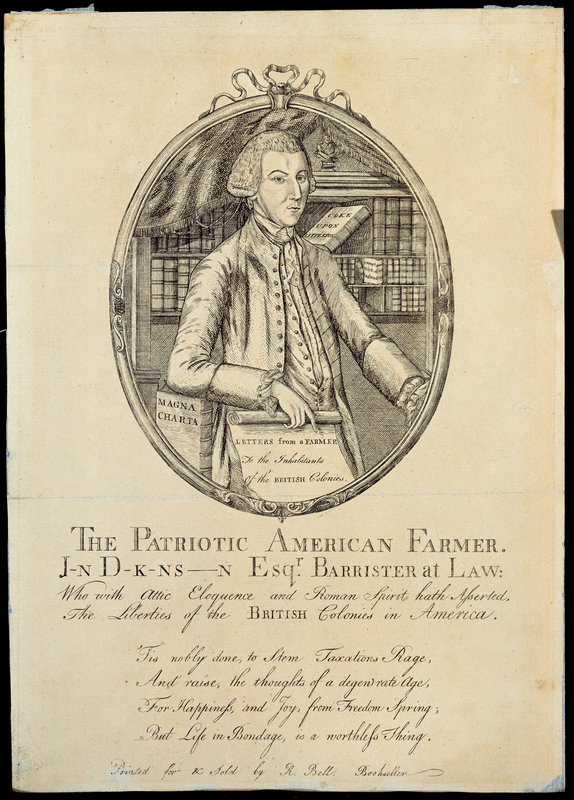 Reprinted by newspapers and in pamphlet form throughout the colonies, Letters from a Farmer in Pennsylvania to the inhabitants of the British Colonies received great attention on both sides of the Atlantic. In it, Thomas Dickinson explained the value of the colonies to England, the need for liberal trade policies, and American colonists’ commitment to liberty and freedom. To maximize the audience for his ideas, Dickinson, a Philadelphia lawyer and Delaware slave-owner, published his Letters anonymously.